Harvey continues to established himself as one of the most well rounded and sought after young coaches in baseball. Harvey is able to get the most out of every individual with a unique ability to connect and develop immediate trust. Harvey is the creator of The MindStrong Project which focuses on identifying and developing excellent habits. 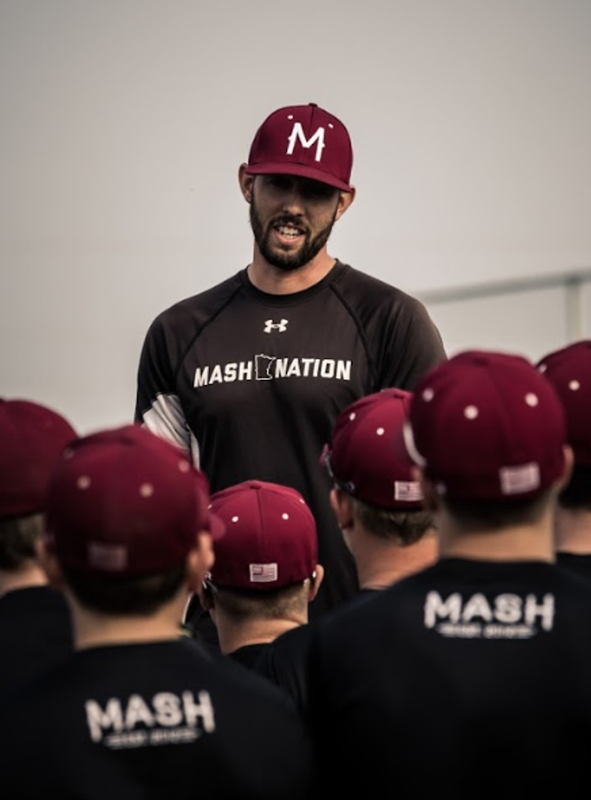 MASH has implemented seminars throughout their select team programs that help athletes reach new levels of success both on and off the field thanks to MindStrong. Harvey excelled on the mound pitching in High School, college, and professionally while working part time at Mash from 2012-2015. He spent 3 seasons pitching for the Milwaukee Brewers in their Farm System. Before entering professional baseball, Martin spent six years in college baseball. Four of those years were at Division 1 Central Michigan before he transferred to Division 2 powerhouse Minnesota State. At Central Michigan he worked as a closer and led the team in era and k/9 his redshirt freshman year. At Mankato Martin would pitch in the College World Series in 2012 and 2013 with a runner up finish. Martin allowed only seven walks all season long, including none in conference play. He Tossed four complete-games, including one shutout, while holding opponents to a .217 batting average while ranking second nationally in strikeout-to-walk ratio, fourth in walks per nine innings, ninth in WHIP and 23rd in strikeouts en route to becoming the most decorated player in MSU baseball history. NSIC Preseason Pitcher of the Year. Along with Martin’s passion as a coach he spent a year as a college instructor at Minnesota State teaching Coaching Theories, Team Skills and Conditioning. He also worked as a certified personal trainer with an AFAA personal training certification. This has drawn him to the biomechanics of developing young arms and learning how to keep athletes healthy and able to compete to the best of their ability.